Our nanopore-ready platform, NBPX and NBPT series, offers a square silicon nitride membrane window at the centre of a 200µm-thick silicon frame. The silicon nitride membrane (SiNx) is low stress and tailored to have a smooth surface finish. These devices go through a thorough individual inspection before being packaged at Norcada. The SiNx membrane thickness is more controlled compared to our microscopy membrane devices (NX or NT product lines). All of our NBPX silicon nitride windows have square-shaped frames and are packaged in gel capsules. Our NBPT devices are packaged in Gel-Pak boxes and have a TEM grid shape, 3mm diameter. 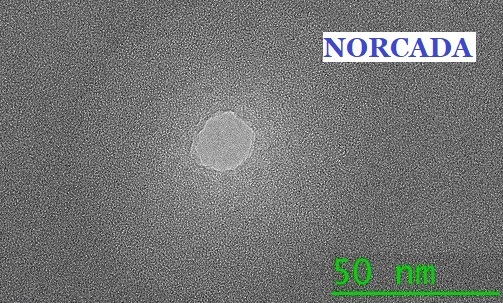 Norcada’s controlled manufacturing, quality control and packaging processes make the devices more suitable for break down, Helium/Gallium Focused Ion Beam and other nanopore fabrication processes. The Silicon frame for the NBPX and NBPT devices either have a resistivity of >3,500 ohm.cm (when part number containing: HR or Hi Res), or have a low resistivity of 10-20 ohm.cm (part number containing: LR or Low Res). This new product line offers devices that have a membrane under-layer of SiO2 which helps reduce measurement noise. The under-layer (U/L) is between the SiNx membrane layer and the Silicon frame. Under-Layer is not present in the membrane area. The table below lists the available standard options. We would be glad to offer made-to-order options of similar structures as well. Please contact us at info@norcada.com for more information.